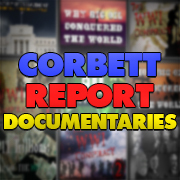 The Corbett Report has been working on 9/11 truth and other issues that the mainstream media won’t touch for 9 years. This work is a labour of passion and dedication, but I need your support to continue making this website possible. 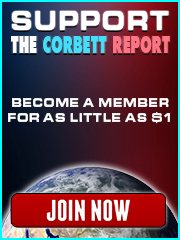 If you haven’t signed up for a Corbett Report membership, please consider doing so via the Support page, or please become a patron of this website on my new Patreon account. Thank you. Awesome stuff James! I especially liked the first video. I don’t believe the people that carried out 9/11 could get away with trying to pull another 9/11 type attack anytime soon, at least not until the majority of the generation that witnessed 9/11 is dead and buried, which will probably be in another 60 years or so. Now it’s true that some “truthers” have become somewhat complacent regarding 9/11 truth since 2001, however war has been a part of earths history since man as learned to consolidate power, whether its Alexander the Great, Julius Caesar, or Genghis Khan. 9/11 was a pretext to war, they used the shock and awe of that day as a way to justify killing millions of innocent people in Iraq, Afghanistan, Libya, Syria etc…and as tragic as that is… its not like this is anything new, remember over 50 million people lost their lives during WW2. If there is any positives, it’s that people today are more “awake”, more aware of their surroundings, more aware of who the main players are, than ever before in earths history, and we have the Internet and mainstream media to thank for that. That is so true. We and so many know, what really happened and why. But our knowledge couldn’t stop the following wars nor the ongoing script of “the clash of civilications”. This is an other kind of revolution. I am not shure if “revolution” is the right word for it, because the phenomenon doesn’t look like the storming of the Bastille. In my view there is a growing movement without ideological leaders. This is a movement of individuals. Those who have witnessed these historical lies and those who were profoundly deceived are responsible to pass their wisdom to the next generation with love and compassion. For me it is motivating to think that at least this lies in our hands. well said. we do have a responsibility to pass on what we have learnt. not just to our children but to our neighbours as well. alucientes – your comments remind me of the story of the rich man and Lazarus recorded in Luke 16:19-31. I don’t mean to belittle anyone but I think for a lot people accepting the truth of 9/11 would be like a kid accepting that their parents are serial killers. I never thought of it that way, but it rings true. Indeed. Like most topics covered on this site, you are not dealing with a scenario where you can simply shine a light on the facts, you are hitting at someones entire world view which has had much resource from the state devoted to developing from pre school to now. To even consider something so sinister for avg joe is to start wiggling the bottom card on a card pyramid, and with most people still able to be comfortable in their lives day to day, wiggling that card and going somewhere uncomfortable is just not palatable. Tough situation but guess all you can do is try? An appropriate analogy, I think. What’s needed is a way to get past simply pointing out facts and evidence, to also address people’s underlying psychology and material needs. Address not only the crime itself but also, more importantly, the emotional and practical implications for that particular Stockholm syndrome sycophant’s life. Consider the wounded infantry veteran, with his sense of shared struggle, esprit de corps, and VA medical care. Consider the Halliburton or Raytheon engineer with his prestige and $80k salary and benefits package. Any federal government apparatchik. The longtime Demican / Republocrat diehard supporter. 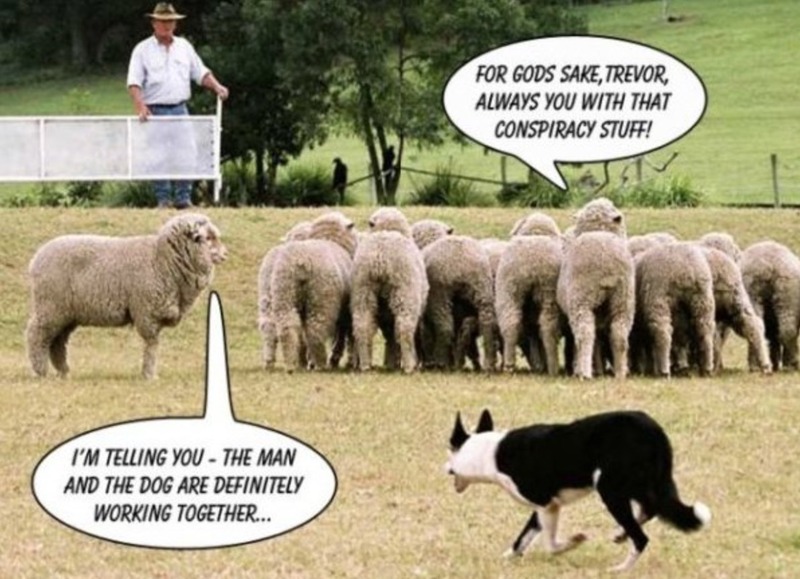 There are vast swaths of the populace – in the US and elsewhere – whose livelihood and sense of identity are heavily government-dependent and thus threatened by 9/11 truth and similar topics. (One could probably push the analysis further and make the case that *most* people benefit in some way from the criminal governments under which they live.) Truth for truth’s sake is enough for us, but for a great many others, merely presenting the facts of the 9/11 case is only a threat and will not be effective. We can bemoan the refusal of these individuals to rise to the occasion and exhibit some maturity, but that changes nothing. People need a viable unambiguous exit strategy from their current paradigms, and that is a far more difficult task. While I do think the analogy does hold true, notice I prefaced it with the thought that I didn’t want to belittle anyone. When I engage others with 9/11 truth I never minimize their thoughts and feelings. I look for common ground and when possible even flip the dynamic to where it seems that they are informing me about a certain point. I know for certain I’ve been able to get at least two others to begin questioning -The Official Story Conspiracy Theory- with this approach. And then of course, I linked them up to our community here at the Corbett Report. Right. Hearts and minds often aren’t won by brute force. Dynamic-flipping sounds like one technique worth trying. This is such a key point. When people are programmed to think a certain way – based on having their consciousness having been molded from every orifice of communication, since birth – it’s very easy to reinforce their system of thought by attacking them. If you attack any of their views in brute fashion, it automatically makes them defensive. But I agree with your approach in that the more nuanced, subtle and kinder approach generally works better to persuade people through reason sprinkled with the Socratic-method. if not checked… modern fudalism. they dont want slaves. they want surfs. peasants call them what you will. slaves will not fight for you. if checked, possably a golden age of human evolution. I shall refrain from the obvious compliments of your work James but We as nation Thank you..I have tried to spread your’s and have been rebuffed with Truth but as with 2008 as I objected to TARP “But the banks will collapse”–“Yes they will–lance the boil or the infection goes systemic” was my answer—-Many people will no longer speak to me to this day because of that–you see–and many are out of work as I told them they would be. See, I’m a kook. Since you have openly stated that Justice Will Never be Served–the perpetrators may I make a suggestion? We Trie or is it Try, them HERE in ABSENTIA. (It may be legal binding–with The People–check Common Law)I can only think of Andrew Napolitano unless you have another name–(and I have not followed his 9/11 stuff since FOX is not on my “favorites” list)t but he did have the only show worth watching on that network when I did happen upon it. Fired of course for telling the truth. A real Caberet’–not of entertainment—but of Justice and of Love—–An actual trial with witnesses (tapes from you and the many others I have followed). One by one——-lay out the evidence and verdict, A judge–a jury a bailof—–A multi-view angle—-like Sibel’s interviews with you and Spiro’s video’s—-an actual trial. Done by the Rule of Law–Common Law and the Punishment phase. Death is a terrible verdict but in this case–there is no other option. Spread it–make sure they see it–send them DVD’s and USB’s of it—will we become targets? Yeah–whats new–I’ve been in their crosshairs for years now. Trucks parked outside my house for hours at a time and I “assist them” with a camera in my left hand and a large crowbar in my right (to offer to fix their obviously flat tire)—their flat tire seems to fix itself rather quickly as they run like a bat out of hell as I approach their truck (my talks about the FED started that a few years ago)–with the crowbar prominently displayed and my dark stare very prominent and engaging, rapid approach–“Lets go, you and me” is the message. They leave. If they read this and come inside they’ll have some real treats inside for them—it won’t fix tires though. It may cause them some other issues though. As far as money—-a series such as this may bring much needed money to the cause. Big bucks if marketed properly. The word has spread and I suggest you use a hybrid of this idea to go forward. It’s a good idea, I know it is—details will perfect it. Brainstorm the rough idea and go forward. Be well boy and thank you. Thank you James for posting this article! And thank you for all the years of labor in getting the word out about 9/11 and the other deceptions. And thank you for encouraging others to get the word out. And thank you for pointing towards solutions which we can do in the real world. You have given us some wonderful tools and resources. You have given us inspiration. You have helped to set standards towards a better world. Each of us are independent free willed thinkers. We are responsible to ourselves and humanity. We become complicit with the criminal activity of the perpetrators by not broadly exposing them to the unaware public. We all have our part to play in this. I must admit I feel like Charlie Brown’s best friend, Linus, having spent all night in a cold, dark pumpkin patch…..bursting with sincerity……patiently and optimistically awaiting the arrival of The Great Pumpkin….. In the sobering, painful hangover I’m experiencing in the aftermath of the 15th Anniversary of 9/11, I am not nearly as disappointed nor apathetic as I had feared. Sure, the other kids went to the masquerade party, got drunk on sugar, wore masks and pretended while I sat shivering by myself waiting for something to happen. I thought for sure this would be the year. Trump and Clinton? Seriously? Is ANYBODY buying this crap anymore? What did I expect? Did I think we would all spontaneously meet in the streets with torches and pitchforks? Did I think the Mainstream would report anything? Well…kind of, yes. I may be 50 years old but, deep down, I’m still Linus. And I’ll be back in the pumpkin patch Sept. 11, 2017. I use this analogy to illustrate the way I’m perceived by family, friends and colleagues. I’m a blockhead. Snake oil salesmen have lead me down the garden path. The louder I holler the deafer my audience. Congratulations, James, on a job thoroughly well done. Keep it up. If a police officer came across a beaten, bloodied body on the street that was dead and nearby, saw a couple of men who had blood splatters on their shirts and blooded, bruised knuckles, he’d probably take them into custody for questioning. But on 9/11, not only were the obvious suspects not taken into custody, they were given air time to spin the Big Lie about Benjamin Laden and his 19 Muzzie terrorists bringing down the WTC at the same time ‘America’s Mayor,’ Giuliani, was working overtime making sure the crime scene evidence was hauled off. Now read the story below about the massive amount of theft, fraud and swindles perpetuated by Wall Street con artists that had the market ready to implode, but were miraculously saved by the intervention of Bin Laden? Then ask yourself if those banksters knew 9/11 was going to happen and knew they could bury their crimes in the WTC rubble. BTW, those same banks are in worse shape now than they were in 2001 or 2008, so what does that tell you? Has anyone been aware of this? …he is basically going to virtually “re-build” WTC 7 to figure what caused it to fall. The study is due to be completed in April 2017. To me it seems unbiased, scientifically sound and transparent. Yes. Often Ae911truth sends out updates on this in their newsletter. You also may want to go to 911blogger. Plato’s Cave from New Zealand does some great video work. He is capturing the September 10 and 11 New York City events. Plato’s Cave has a heart of gold. Has anyone else seen the work from Dr. Judy Wood? She posits ‘dustification’ and the use of a free energy weapon as the mechanism that brought down the towers. I particularly like her scientific approach. She’s supported by Andrew Johnson of checktheevidence.com (http://www.checktheevidence.com/cms/index.php?option=com_content&task=view&id=389&Itemid=60), who I knew of prior from his thorough work on chemtrails & geoengineering; again with a very scientific approach. Interested in anyone else’s thoughts – couldn’t find any mention of Judy Wood anywhere else on corbettreport.com. I remember when Judy Woods came on the scene. I followed things daily. You can see much of the time line at 911blogger, including scientific articles which nullify Judy Woods. When you follow the history, it becomes very evident that she was cast into the limelight as part of an agenda to discredit and distract the 9/11 Truth Movement. Even CIA operative Morgan Reynolds was involved with her. Jeremy Rys is good to go to about Judy Woods. In my opinion, the Meme has been the most effective Cass Sunstein method of infiltrating “the truth movement”. See this link at 911blogger under the post for this CorbettReport Video “Only 9/11 Truth Can Smash The 9/11 Lies” . You expected more from Corbett Reporters. What exactly did you expect from them? Corbett Reporters understand that HOW exactly the buildings were brought down is secondary to the fact that it was a crime that hasn’t been investigated. Mr Corbett is painstakingly, meticulously revealing WHY such a spectacular murder has not been investigated. He is revealing the historical, socio-ecnomic and geopolitical mechanisms that dominate our world that creates such events. This is quite substantial and important. If others believe that HOW exactly the buildings were brought down is of primary importance than they need but spend their time on such sites as Judy Wood’s. “Corbett Reporters” are quite grateful for the insightful and edifying work Mr Corbett is most prolifically doing which is enough to occupy anyone’s immense curiosity of how the world turns. When and if I decide that info about energy weapons is vital to my existence I’ll go visit Judy Wood. However, when a person does their homework, they will find that her theories don’t hold up. I have seen this Judy Wood argument come up many times within the past decade plus. I once followed the 9/11 news daily since 2005-2006. And I once was extremely active with feet on the ground, participating in hundreds of actions. In my opinion, the reason the Judy Wood scenario is even still around is because it becomes useful disinfo distraction.